A portrait of a sadu dressed in yellow, posing with beads in front of an ancient building in Kathmandu, Nepal. 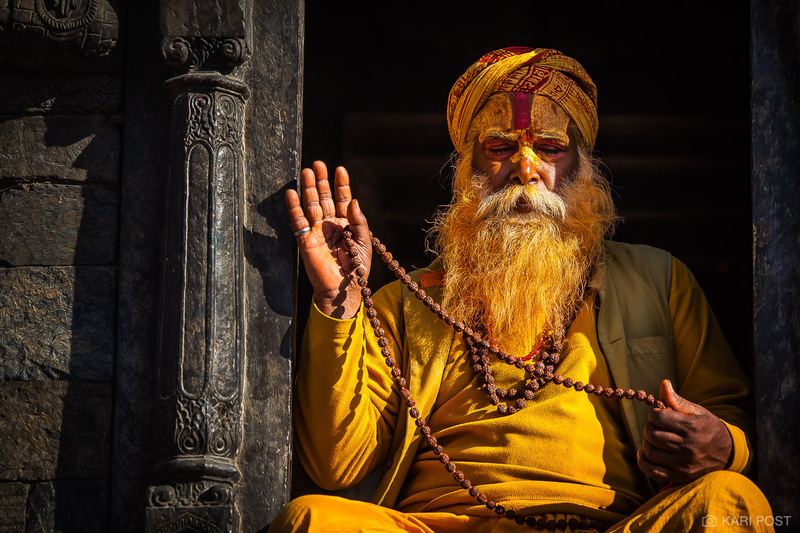 In popular tourist areas of Nepal, such as the Pashupatinath Temple in Kathmandu, tourists and photographers can pay a small fee to sadus to be permitted to take their photograph as they go about their daily rituals. The sadus' colorful ornamental clothes and body paint make them interesting subjects.